Police in Washington, D.C. are currently searching for an eight-year-old girl who went missing earlier this month from a local homeless shelter, formerly D.C. General Hospital. Authorities believe she might be with a janitor from the homeless shelter, who's also the prime suspect in his wife's recent death. Guardians, social workers and employees at the subsidized shelter had extensive contact with Relisha but missed or ignored repeated opportunities to intervene weeks or even years ago, records show. And her mother, who allowed Relisha to be with Tatum, told school officials her daughter was missing school because she was sick, an explanation that authorities say delayed their ability to respond. Suspect Khalil Tatum reportedly brought gifts for children at the shelter and spent time with Relisha, but apparently no one in charge noticed or acted—despite strict policies against "fraternization." D.C. police were called, and a sergeant met with Young, according to a confidential record. She told the sergeant her daughter had accompanied Tatum and his family on a trip to Atlanta that past week for a "medical seminar" that took place March 8. She did not know when they would be back, according to the records. It's not clear why, exactly, the family trusted Tatum. It's even more horrifying when you look at the timeline put together by the Post. Relisha's mother entrusted her child to Tatum on February 26. Her last full day at school was March 5; her school referred the case to children's services on March 13; it wasn't until March 19 that social workers discovered the truth about Tatum. On March 20, Tatum's wife was found dead in a Maryland hotel room. Only then was an Amber Alert issued—and according to WUSA, it didn't even extend to neighboring states. Tatum is now on the F.B.I. 's Most Wanted list. Today, the D.C. police have been searching a park near the homeless shelter, in an area called the Kenilworth Aquatic Gardens, according to the Post. In a press conference this afternoon (via News4), police chief Cathy Lanier revealed that the last confirmed sighting of Relisha was March 1. On March 2, the suspect Tatum was seen purchasing contractor-grade trash bags, and not long afterward he was seen in the area of the gardens, hence today's search. But, as Lanier was quick to note, they're still following other leads. 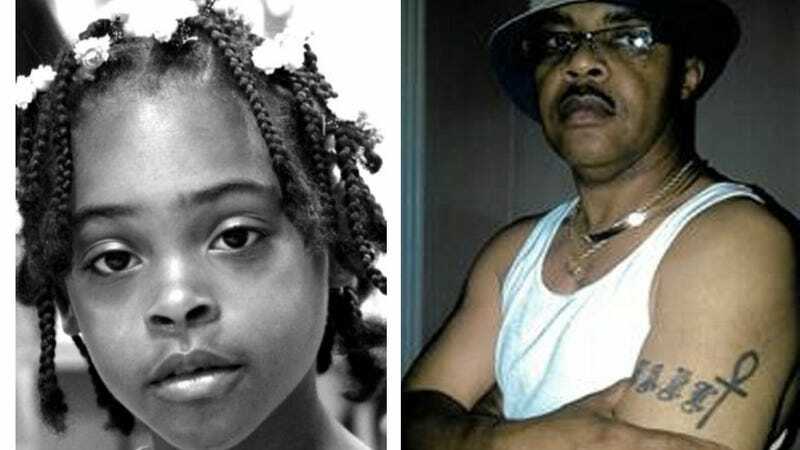 "We have not given up hope that we may find Relisha alive," said the chief, though she added later that, "We cannot ignore the possibility that he may have killed her." It goes without saying, but keep your eyes open.